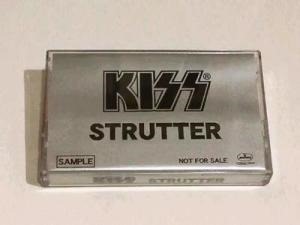 This audio is featuring live version of “Strutter”. KISS recorded this song for donation of Earthquake in Kobe, Japan, at Budokan, Tokyo on afternoon of Jan. 30th, 1995. And record company in Japan presented this tape for visitors at KISS’ Event in Tokyo. It never released this material on CD anywhere. 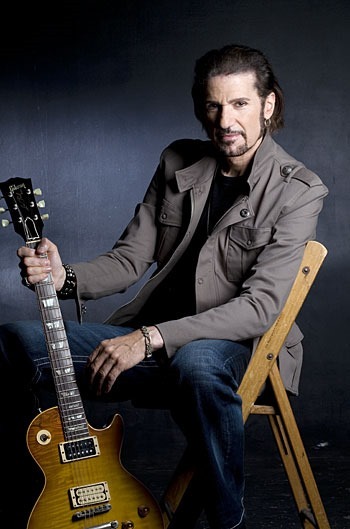 Bob & Tom did an inter view this week with Bruce Kulick about the Rock N Roll Hall Of Fame. Bruce has some really good insights into the night and the process. Take a listen!! Couple of notes on the interview. If you are familiar with the Bob & Tom show, then this interview only has Tom and Krisiti Lee. Krisiti and Bruce used to date back in the late 80’s. You can hear more about that on the Off The Air Podcast with Chick Mcgee here. Well…the end of era is over. 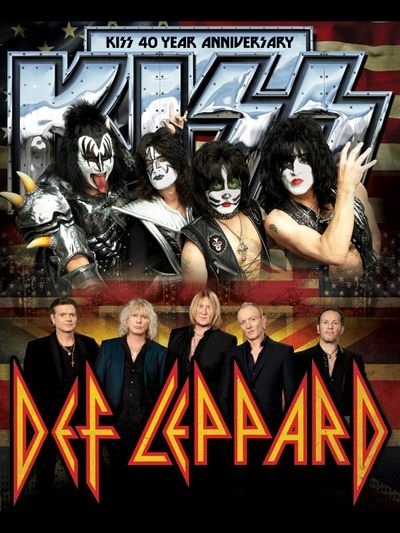 I have not missed a KISS show in Indianapolis, IN for the last 26 years. As of right now, I will not be attending the show on 8/22/14 at Kilpsch Music Center. Why you might ask. Is it because of a family event? Nope. Is it because of the whole Rock N Roll Hall of Fame situation? Nope. Or (as my wife put it) has hell froze over? Nope. It breaks down to 2 very simple reasons. The price of a ticket and “Co-Headlining” status with Def Leppard. So if you look at the adjusted price, 3 of them stick out to me. 2013’s “The Tour” with Motley Crue , 2003’s tour with Aerosmith, and 1995’s Unplugged tour. Both the tour with Motley and Aerosmith are still outragoues, but I under stand why. You are getting 2 bands for the price of one. Big deal. Again, you just get a greatest hits package from both bands. The tour with Motley is the only that I actually looked forward to seeing both bands. Now as far as the Unplugged tour, I would still pay the 2014 price to see that one! At least at the end of that show I got to meet the band! So, here we go with another Co-Headlining tour. I call these nothing but a “greatest hits tour”. The first one was 2003 with Aerosmith and then again in 2012 with Motley Crue. There are a couple of things that stand out to me on these tours. In 2003 KISS was not the headliner. They had no new album to tour with, so this was (IMO) just a chance to get back out on the road and make good money on a double bill with Aerosmith. Now in 2012 they had a new album to tour with, Monster. So below are the setlists from 2003 and 2012 from Indianapolis according to KISSFAQ.com. So, if KISS had a new album in 2012, you can take out the one new song they played Hell Or Hallelujah. So, now if you compare the 2 setlists, you get 8 songs that were played in both 2003 and 2012. Ok, so now just for fun, let’s throw in the last time I saw KISS headline by themselves. Only 6 songs are the same on all 3 setlist. When bands do these tours, they are not doing for the fan who has been with them for years. They are doing it for the casual fan. The one who goes, “Oh yeah, I know that song”. It’s just an easy way to make some money. Does KISS have to worry about selling out the entire place. Nope. The pressure is off them. You know there crowd will be about half and half of fans. These tours are a shame to the fans of both bands. Neither side is getting a “full” show out of the band. The stages need to be able to have a quick tear down and be able to get ready for the next band. Just because you put two top name acts on one bill, does not mean I should have to pay double to see them. If I wanted to see Def Leppard, I would have went in seen them sometime since the only time I did see them in 1988. Was not impressed by them then, and I know I won’t be now. Have they even put out any new material in the last few years? 2008 would be the last time they put out any new music with “Songs From The Sparkle Lounge”. 6 Years ago!! I just can’t see sitting though this show again. I am posting this on 4/19/14, here is my prediction for the setlist for the upcoming tour. We will come back and see how close I was. These are not in any order.